Today, Officer Christopher Paze issued a report of a multi-vehicle crash on Monday afternoon that sent three individuals to the hospital. The collision occurred on Route 104 near 1052 Pleasant Street shortly after 4 p.m., when a Ford pickup truck traveling westbound rear-ended a Honda minivan. The driver of the Ford pickup was Brittany Akstin, 29-years-old; she was ultimately cited for vehicle code violations. She was transported to Signature Healthcare Brockton Hospital to attend to her injuries. The other occupants of her vehicle were uninjured. In response to the rear-end collision, the minivan driver tried to turn left towards Brownfield Drive to remove herself from the path of oncoming traffic. The driver was a Bridgewater resident, and nearly 60 years-old. She did not move quickly enough, and was hit by a Jeep Sport Utility Vehicle, causing her to then collide head-on with a Toyota sedan. The driver of the Toyota sedan was a female Abington resident, almost in her 60s. She and the driver of the minivan were transported to Good Samaritan Medical Center in Brockton with injuries. The 27-year-old operator of the Jeep SUV, also of Bridgewater, was uninjured. The vehicles were removed from the scene via tow truck. The Plymouth County Bureau of Criminal Investigations was assigned to the scene to take pictures. 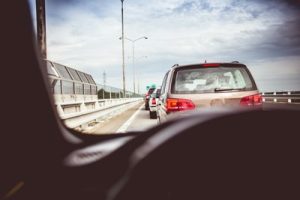 Multi-vehicle accidents are also known as chain reaction car accidents, which are usually the fault of the first driver. However, the other drivers may also have contributed to the chain reaction if they were following too closely or did not react in time, or properly, to the initial collision. Such an intense accident will result in injuries to the drivers, passengers, and maybe even bystanders. This makes it a unique personal injury case to bring forth in court. With so many players in a chain reaction, assigning fault can also be tricky. Just because it appears the driver that caused the initial impact is entirely at fault, does not mean it is true. The conditions of the road may have led to the multi-vehicle accident, or even the weather. These nuances are important for a Massachusetts personal injury attorney to understand. The attorneys at the Law Offices of Jeffrey S. Glassman understand these nuances and are ready to help you if you are a victim of a multi-vehicle accident. Call the attorneys at (617) 367-2900 today.